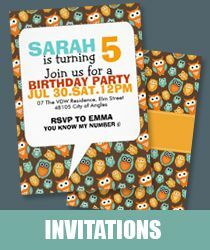 This tutorial will guide you on how to use the coloring psd files downloaded from this blog. 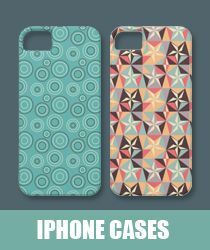 It will also include some tips and tricks to fully utilize those psd files not only to get the coloring you want but also generate new coloring for your image. When we created the psd files, we tried to use only adjustment layers. So that, when you downloaded them, you still have the flexibility to adjust the settings according to what's perfect for your image. 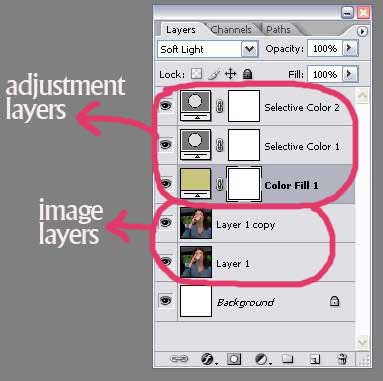 If you don't have the slightest idea on what Adjustment Layer is, check out this short explanation on Photo Editing with Adjustment Layers. 1. First, download the .psd file and save it in your computer. 2. Open Photoshop. Then, go to File > Open and select the location of the psd file you just downloaded and open it. 3. Next, open your image in Photoshop. Don't worry about the size. 4. 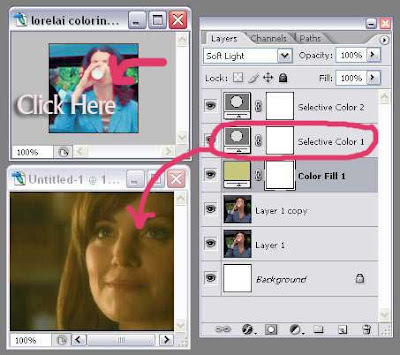 Now, you have two files open in Photoshop, the psd file and your image..in this tutorial, I'm gonna refer to this file as the Lois image. 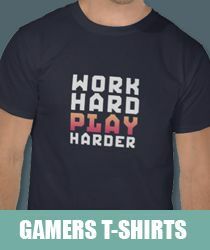 In this case, it's the Color Fill 1 layer. 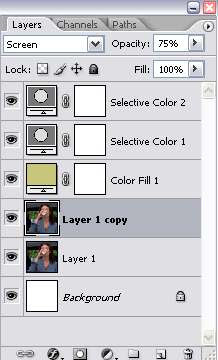 Click and drag that layer and then drop it on your Lois image window. 7. 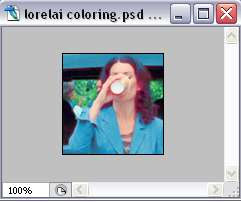 You'll have this for your Lois image layer palette. 8. Click on the psd file window again to bring up it's layer palette. Then, click on the 2nd adjustment layer, which is the Selective Color 1. 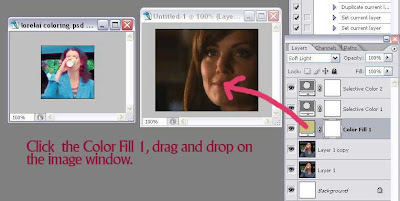 Drag and drop that layer on your Lois image window. 10. 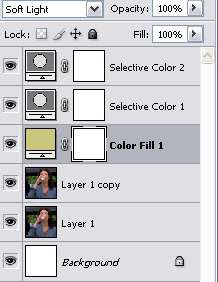 Then, click on the psd file window to bring up it's layer palette. 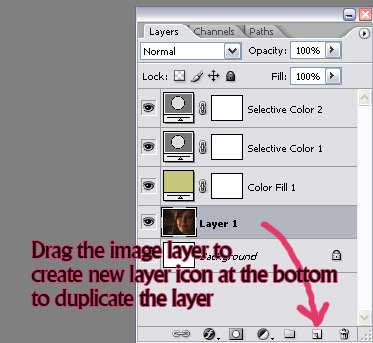 Take a look at the layer setting for the image layers. In this case, the 2nd image layer is set to screen with 75% opacity. 11. 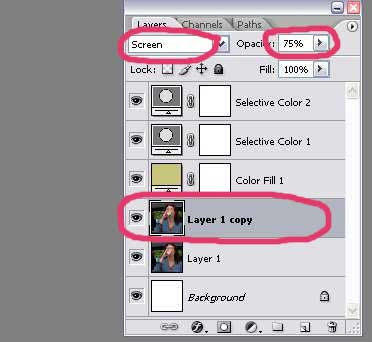 Click on your Lois image window, duplicate the image layer and set the duplicate layer to screen with 75% opacity to imitate the setting on the psd file. 1. If the image is still too dark, you can duplicate another image layer and set it to screen. There's no limit to the number of screen layers you can have. Stop duplicating when the image looks good to you. 2. 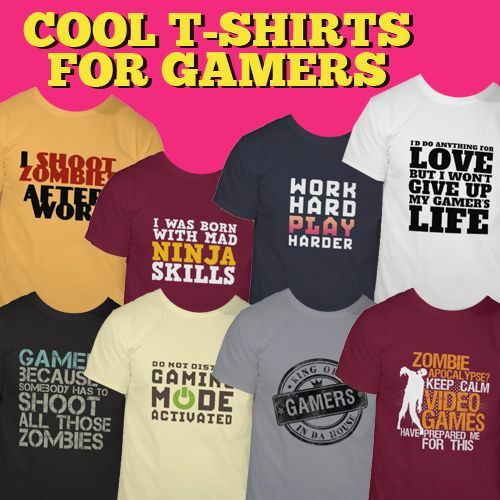 If the image is too bright, you can delete the screen layer. 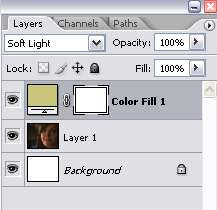 Or you can duplicate another image layer and set it to Soft Light...adjust the opacity as you like. 3. 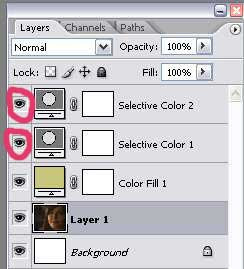 To get a slightly different coloring, you can set one or more adjustment layers to be invisible by clicking the eye icon beside that layer. 4. You can also double click on the adjustment layer to bring up the option window and adjust the settings. thanks for this - awesome! plan to try these out soon! Oh my gosh thank you sooo much. youre a life saver. thanks sooo much! <3 im so thanful, THANK YOU! great explanation, sometime maybe i'll come back for more tutorials. Finally! A simple but comprehensive explanation. Thank you!!! Yes, you're right. 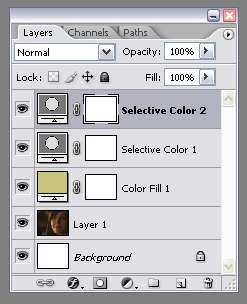 Drag only adjustment layers and Color Fill Layers (other than the original image layer).